The Dragon Strand Clear Front Compact Caging System was designed for smaller herps. 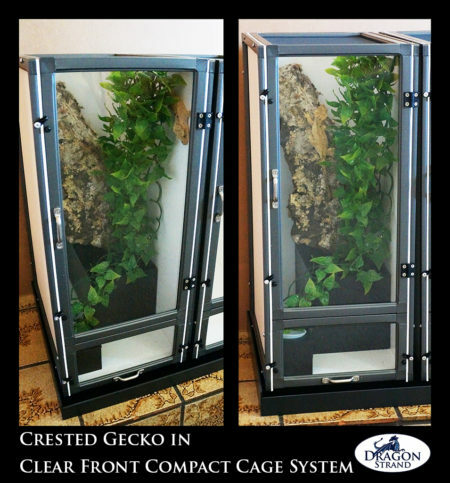 It is ideal for animals that desire humidity such as Crested Geckos and Madagascar Leaf-tailed Geckos. One Compact Caging System includes two individual cages and a drainage tray. The Technology. The clear front door and service door uses a thick, clear PVC sheet. This PVC technology produces a flexible, but durable sheet that is as clear as glass or acrylic, almost as light as screen and more scratch resistant than acrylic. It is pulled taut, but still retains some flexibility which is advantageous when keeping animals such as Uroplatus and Rhacodactylus which aggressively launch themselves at feeders. The clear PVC absorbs the shock and decreases the chance of snout damage. 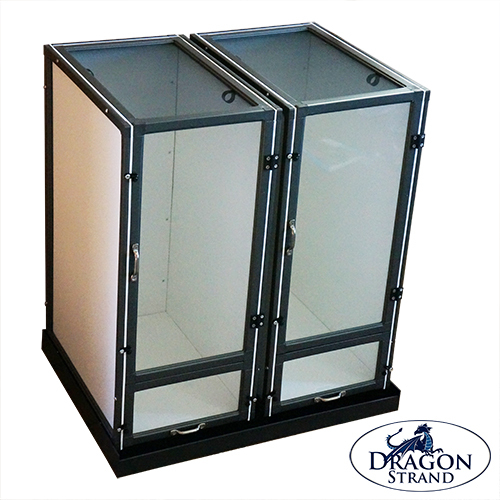 The Dragon Strand Compact Caging System was designed to fit on a standard 48” wide, 18” deep wire shelving rack easily found at club stores, home improvement stores, or on the internet. It was also designed to fit four cages under one 48” fluorescent fixture. The Technology. The clear front uses a thick, clear PVC sheet. This PVC technology produces a flexible, but durable sheet that is as clear as glass or acrylic, almost as light as screen and more scratch resistant than acrylic. It is pulled taut, but still retains some flexibility which is advantageous when keeping animals such as Uroplatus and Rhacodactylus which aggressively launch themselves at feeders. The clear PVC absorbs the shock and decreases the chance of snout damage. Common misting systems are able to be customer installed. PVC sides ensure that the mist does not damage or soak surrounding walls or furniture while, at the same time, providing visual isolation for maximum comfort of the animals you are raising up. 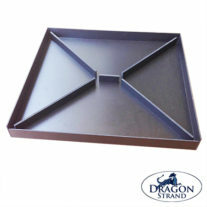 The Dragon Strand Compact Caging System comes in groups of two cages with a drainage tray. 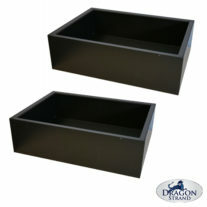 Substrate Tray – These trays come in pairs and fit inside the compact cage system cages. They allow a substrate to be included which can provide humidity, and egg laying area, or a bio-active substrate. This system has the advantage that you can drill drainage holes in the bottom of the substrate trays and then excess water will drain out of the cage and go into the drainage tray. 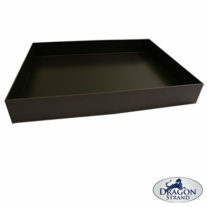 This ensures that, as long as you construct adequate drainage in the tray, your substate will not flood. 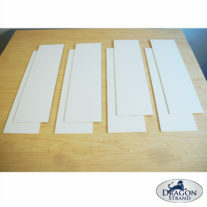 Extra Floor Panels – For the breeder that must clean many cages as quickly and efficiently as possible, extra floor panels allow you to have a clean set of floors ready to go. You are able to quickly pull out dirty floor panel into your cleaning bin and replace them immediately with a clean floor panel. The dirty floor panels may be given a deep disinfecting cleaning later and be ready for the next cleaning.